Want to display your pride in the Irish Guards? The Irish Guards have always been proud of their history and are never shy about showing that pride (quite right too). We have recently added this design on a limited production run and they are selling well, so get yours now before we run out of stock! This custom printed umbrella is a perfect way to show your love, passion and dedication to the Irish Guards whilst keeping your bonce dry. As a gift, this would be appreciated by any military personnel, armed security personnel, or by anyone who just loves the Irish Guards. Features a heat dye sublimation print with uncompromising quality and outstanding colour vibrancy. Rubberised handle provides a comfortable non-slip grip for safety. 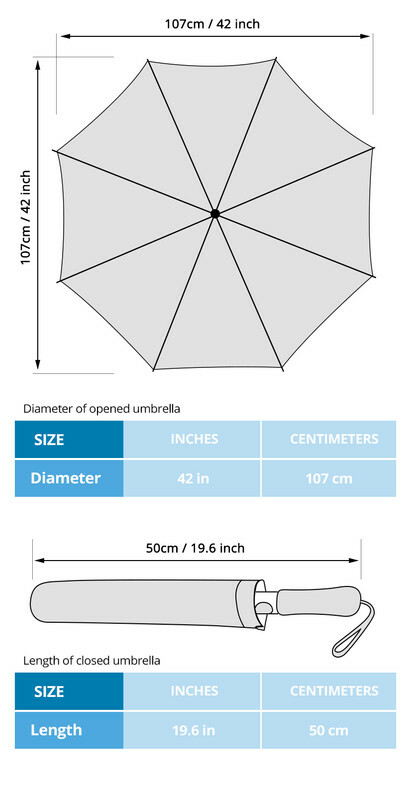 This umbrella is a must have. These are not sold in stores and are made in our production facility by our amazing team. Hundreds have been sold and they are limited stock so make sure you don't miss out.